Discussion in 'Nation of Islam and Related Groups' started by CommunicatorIC, Jan 22, 2017. 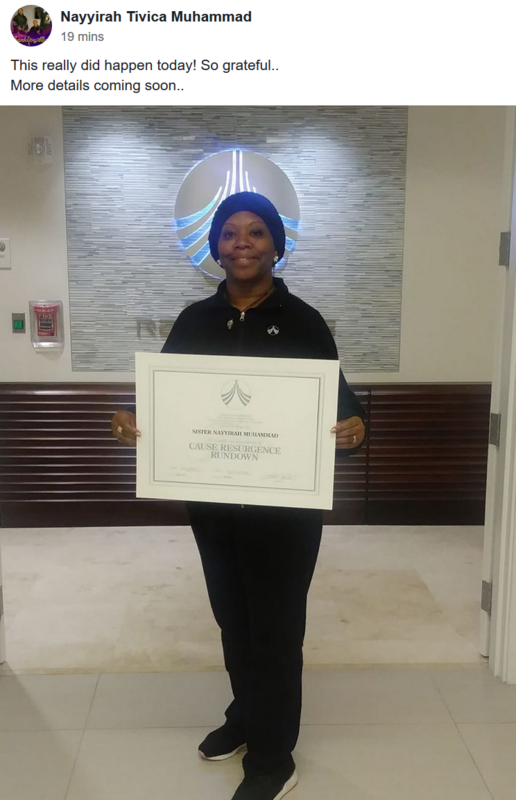 Nation of Islam Sister Nayyirah Tivica Muhammad has completed the Scientology Cause Resurgence Rundown. 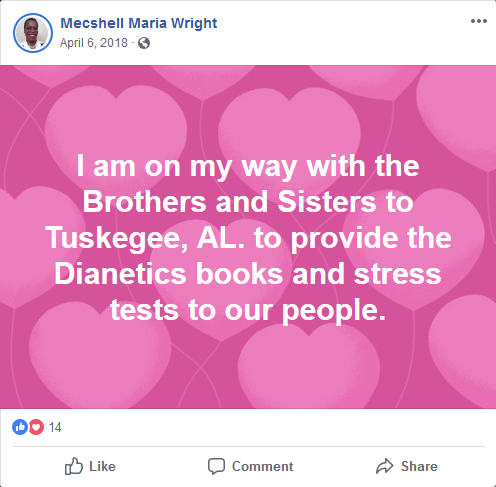 Sister Nayyirah Tivica Muhammad has expanded on her comments about completing the Scientology Cause Resurgence Rundown. 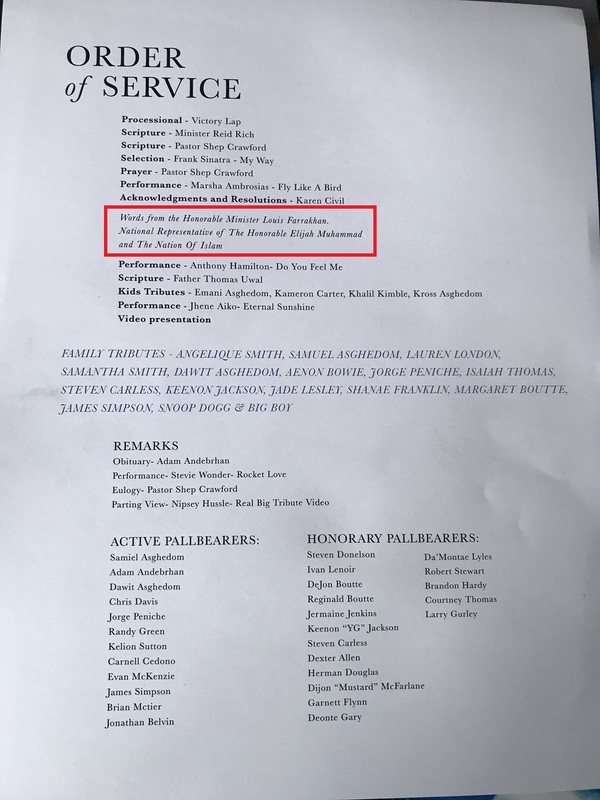 Perhaps tangential to the subject of Scientology, but I want to note that the Order of Service for the funeral of Nipsey Hussle features, "Words from the Honorable Minister Louis Farrakhan, National Representative of the Honorable Elijah Muhammad and the Nation of Islam." I'd argue this is relevant to the COS - NOI partnership for the following reasons. 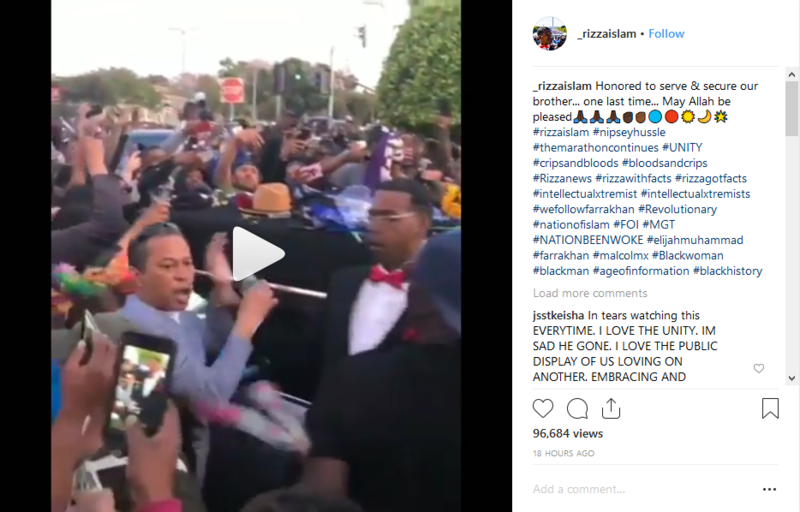 It is evidence that Minister Farrakhan and the NOI have a following even with non-members. To the extent the COS has influence on and within the NOI, the COS has influence on and with such people. The NOI is not without influence. Thus, the COS - NOI alliance is important. 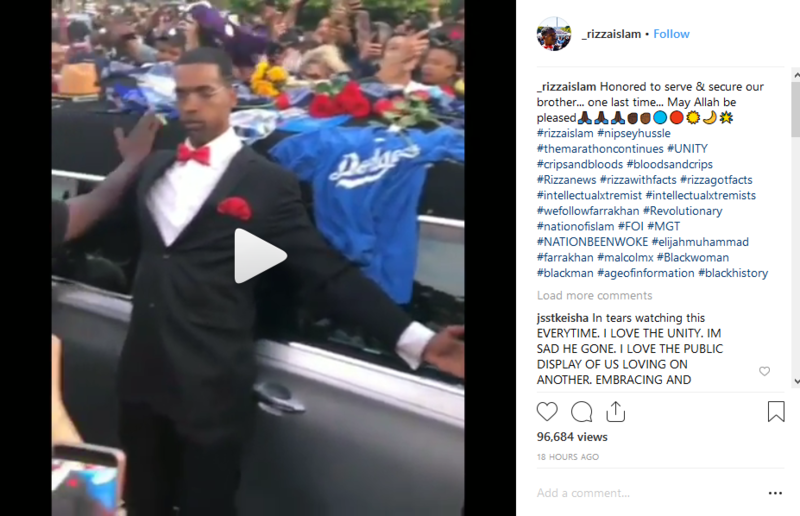 Nipsey Hussle Funeral: Louis Farrakhan Full eulogy. Notice Tony Muhammad behind Farrakhan. 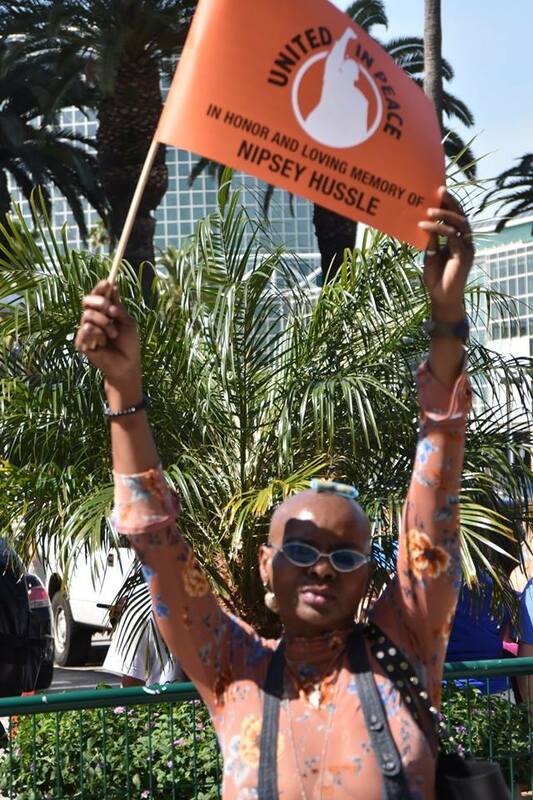 United in Peace banners at the memorial service for Nipsey Hussle. 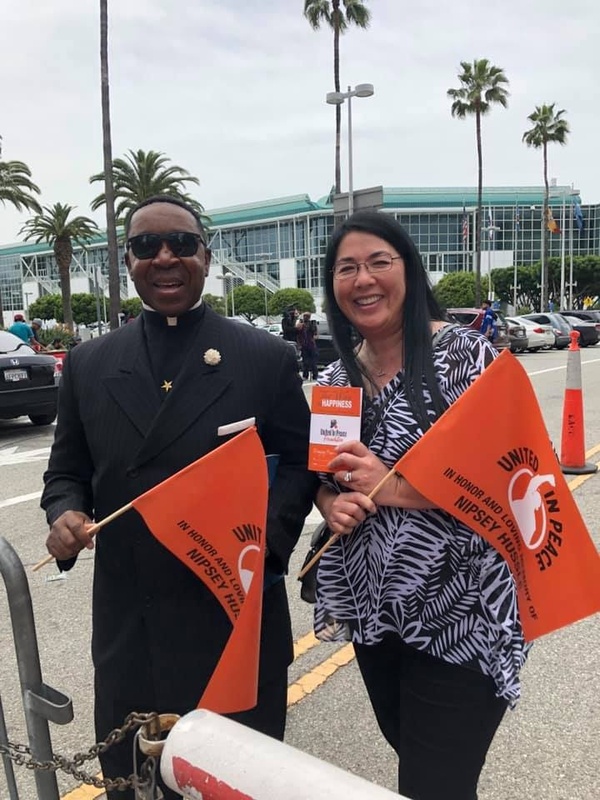 United in Peace is effectively a joint venture of the Church of Scientology and the Nation of Islam. United Peace sponsors the Peace Rides and distributes The Way To Happiness booklets. United in Peace is a front group of The Way To Happiness, which in turn is a front group of Scientology. 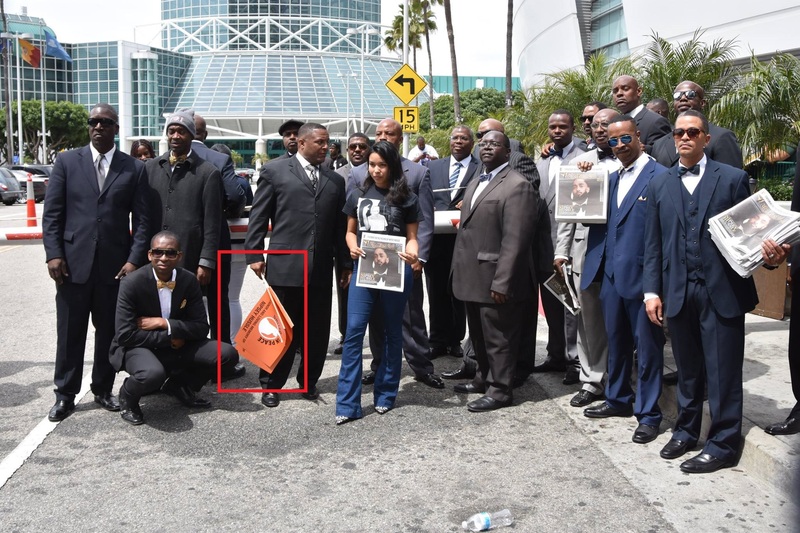 Courtesy of "Intergalactic Walrus" on Tony Ortega's blog, another photo of "United in Peace" being promoted at the memorial service for Nipsey Hussle. Another shooting in South Central and a tenuous Scientology connection. the involvement of the COS, albeit indirectly. See ESMB post. 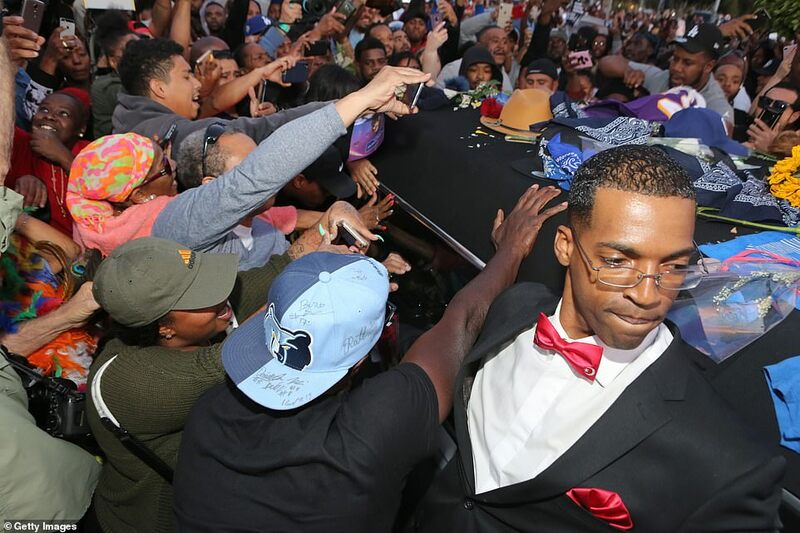 Nipsey Hussle's 25-mile LA procession' leaves one dead and three wounded. the street, though one stray bullet shot out a neighbor's window nine floors up. But I digress. Is that Rizza or not? 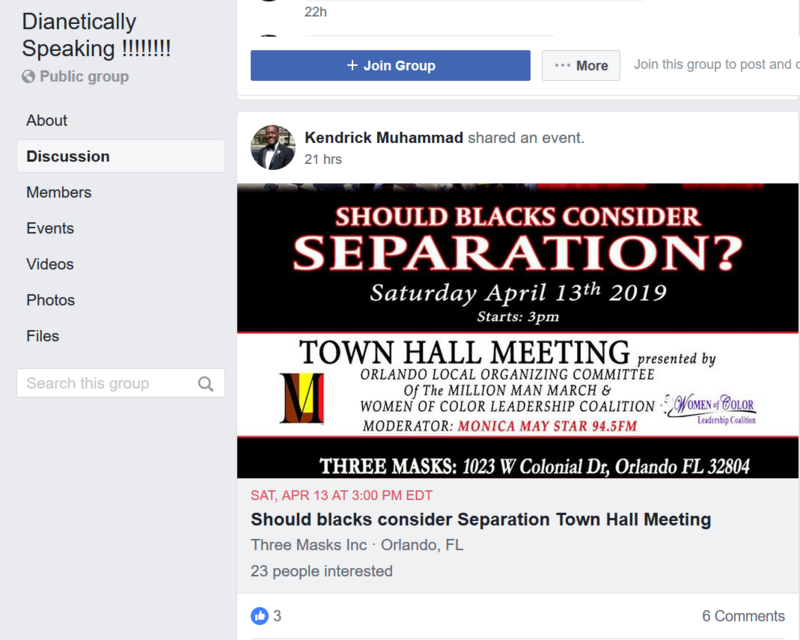 An interesting post in Dianetically Speaking, the public Facebook home of the Church of Scientology and the Nation of Islam. What I find interesting is the fact that the moderators of the group allowed the post to remain up. The comment thread on Dianetically Speaking. I'll note that Sister Amatullah Sabreen, who said "Absolutely! Seperate Quick!," attended the First Black Scientologists Convention on the Freewinds. I posted her notes from the convention. 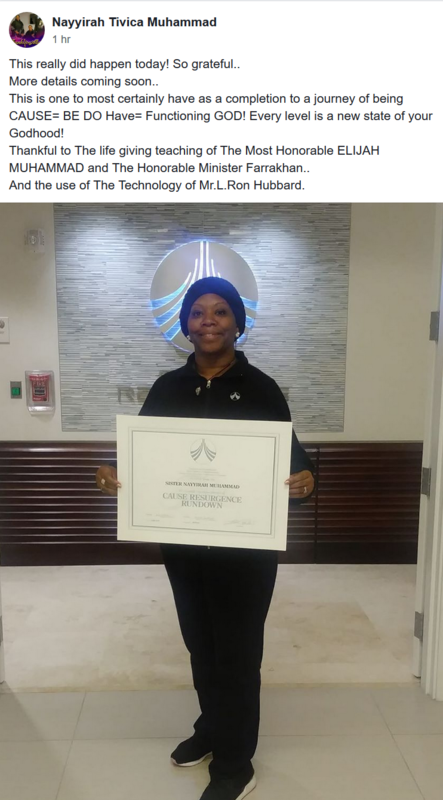 Further, as of April 3, 2018 Sister Amatullah Sabreen had fifty (50) sets of Scientology Scriptures to donate to members of the Nation of Islam. 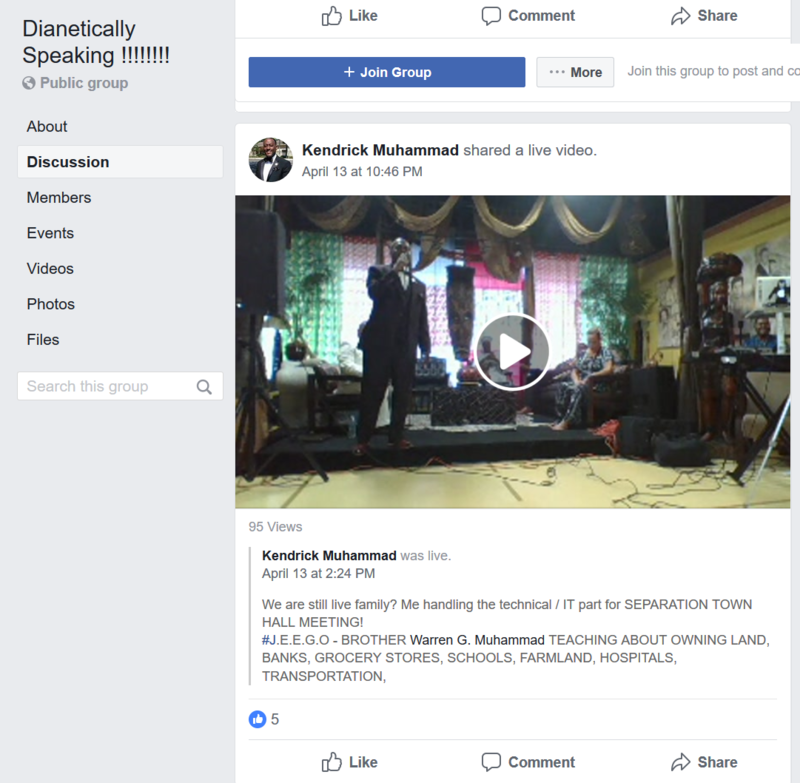 Another interesting post in Dianetically Speaking, the public Facebook home of the Church of Scientology and the Nation of Islam. What I find interesting is the fact that the moderators of the group allowed the post to remain up. 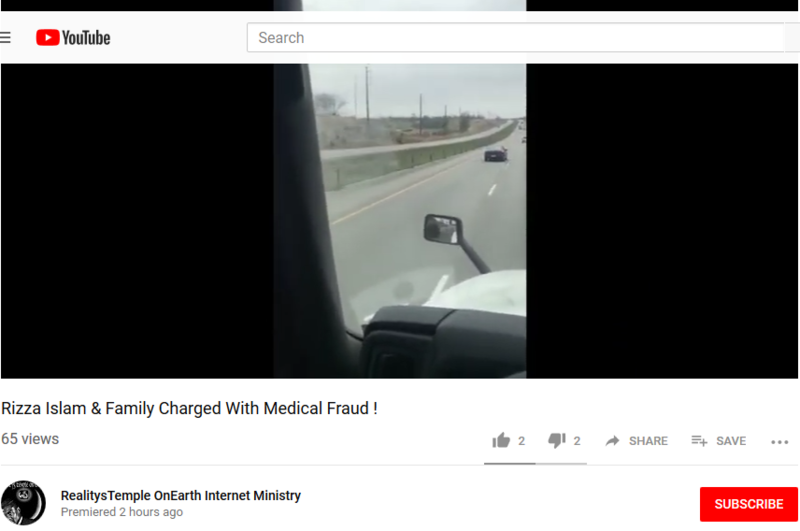 he seen the videos exposing his MediCal fraud. 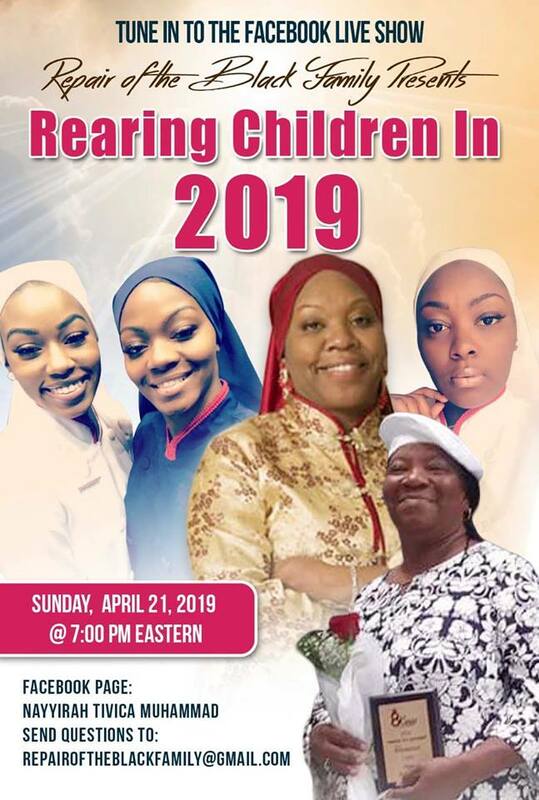 4/21/19: Scientology Clear, Super Power Completion and Cause Resurgence Rundown Completion Nation of Islam Sister Nayyirah Tivica featured speaker at "Repair of the Black Family - Rearing Children in 2019." Although not mentioned in this flier, past "Repair of the Black Family" events have consistently featured Scientology "tech" on Communication, Self Analysis, Personal Values and Integrity, etc. 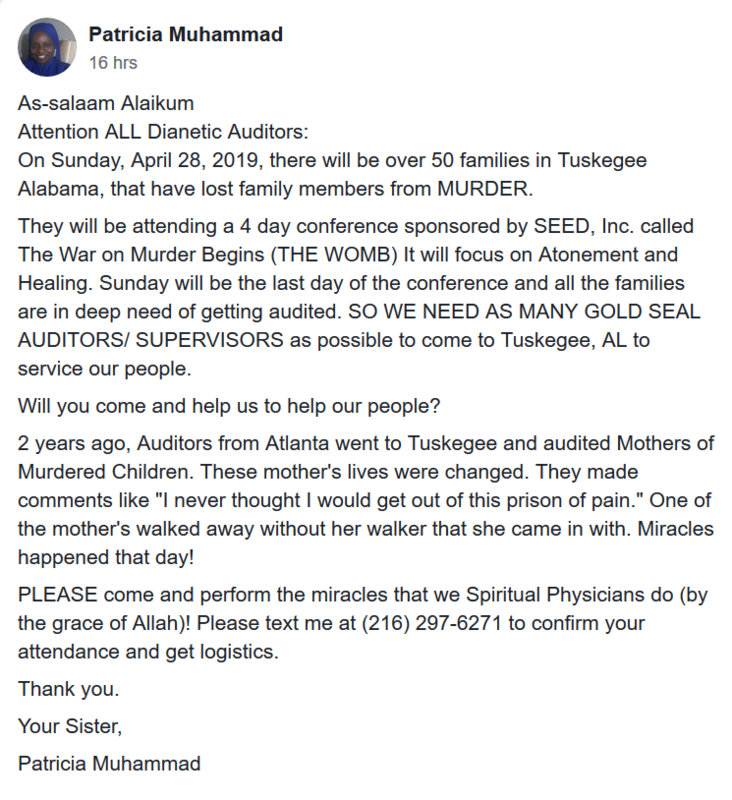 Nation of Islam Sister Patricia Muhammad is seeking Gold Seal Dianetic Auditors and Supervisors to come to Tuskegee, AL on Sunday, April 28, 2019 to help victims of violence. Over 50 families in Tuskegee Alabama, who have lost family members from murder will be attending a 4 day conference sponsored by SEED, Inc. called The War on Murder Begins (THE WOMB). The conference will focus on Atonement and Healing. Sunday will be the last day of the conference and all the families will be in deep need of receiving auditing. 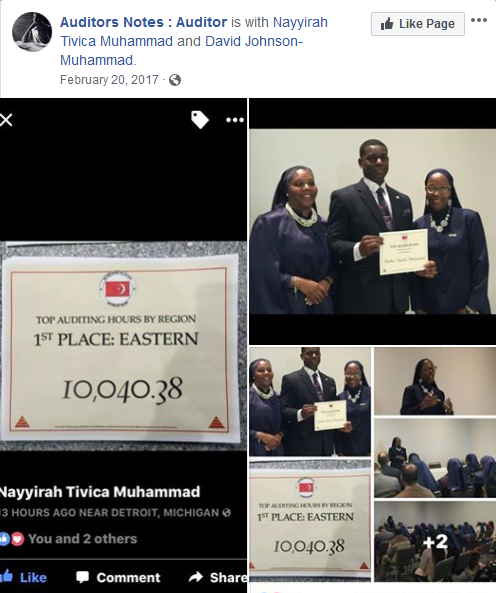 Scientology Clear, Super Power Completion and Cause Resurgence Rundown Completion Nation of Islam Sister Nayyirah Tivica Muhammad says, "Get out!!! Of the valences of our open enemy!" 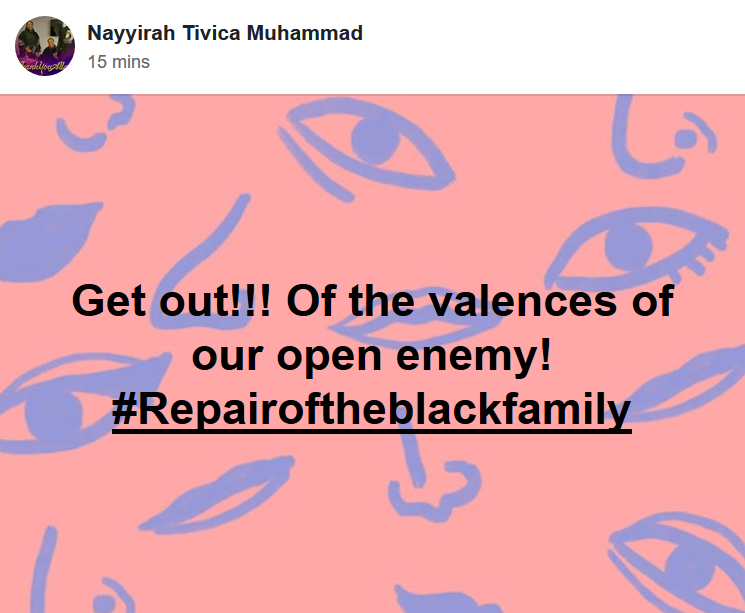 #Repairoftheblackfamily." One wonders, who is the "open enemy" she is referring to?